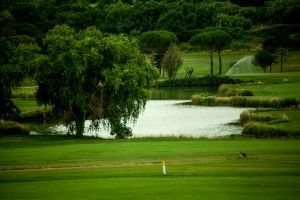 18 holes, three lakes, 93 bunkers….a single glance ! 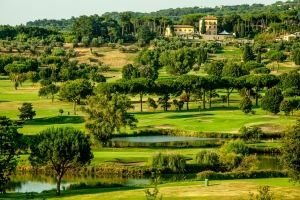 Architect Robert Trent Jones Sr. put his own brand on a Golf course unique in the world : the basin of a volcano, where in antiquity was located the Turno’s Lake, transformed in a challenging and well proportioned Golf course. 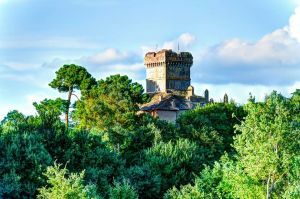 Under the watchful eye of the Club House, a villa built in the XVII Century by Cardinal Flavio Chigi, a nephew of Pope Alessandro VII, thousands of pitfalls are waiting for players of every kind of playing level. 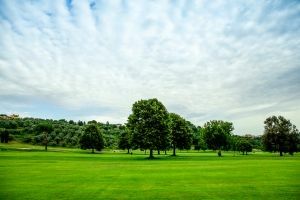 So they need to study each stroke with a lot of attention, from the first drive from tee 1 terrace, till the last putt on the 18th green. 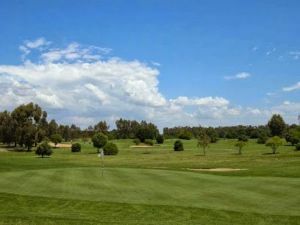 You can discover each hole gradually, with its natural obstacles and different ground levels, surrounded by ancient olive trees, majestic oaks and typical roman maritime pines. 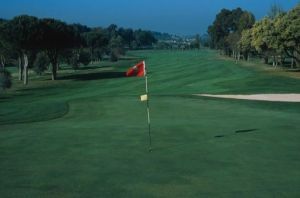 A breathtaking view of the entire course is enjoyed from the balcony of the four-century-old villa : the 18 holes can be embraced in a single look, giving the feeling of an intimate and evocative atmosphere, while four centuries of history provide protection within the walls of the club house and the seafront shines in the background. In the charming halls, as well as on the delightful garden of the terrace, you can find the restaurant of the Club, whose recipes of revisited regional cuisine fulfill the gusto of every guest. 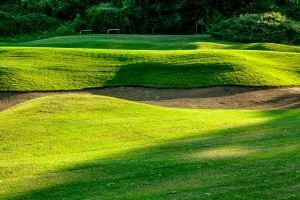 Castelgandolfo Golf Club is not yet in our pool of Golf Courses for orders.